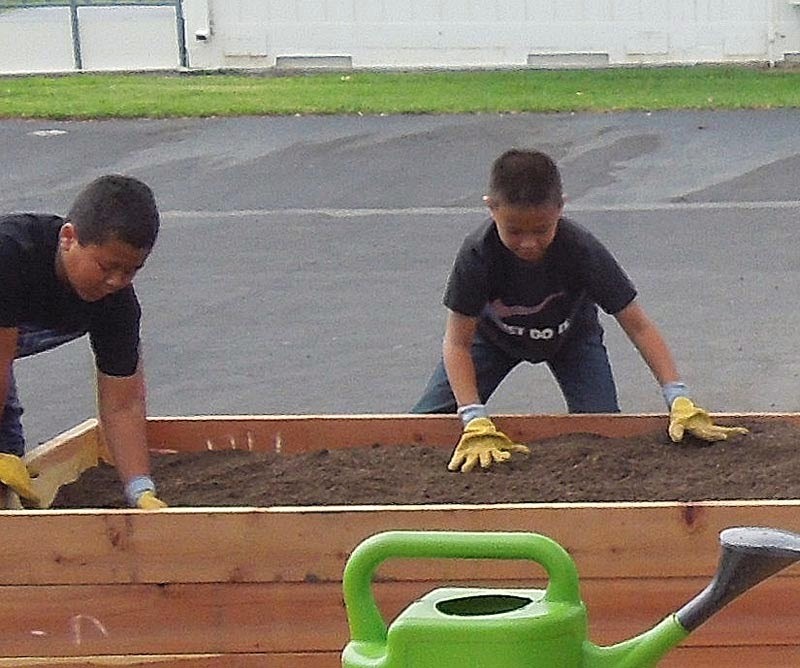 At the beginning of 2013, Las Posas Elementary School in Camarillo started gardening on its steaming hot blacktop in recycled coffee sacks, polypropylene grow bags and any kind of container the students could get their hands on--even jeans converted into "pocket planters"! They created something amazing out of almost nothing using teamwork, creativity and resourcefulness. One cubic yard of soil from Agromin got the growing off to a great start. It wasn’t long before classes signed up to plant potatoes above ground, set up space-saving vertical systems on the fence and to grow large bags of exotic greens with fun names such as “Tatsoi,” “Mibuna” and “Mizuna.” Over 250 students took part in various gardening projects. Las Posas now has two large raised beds, an 8-foot square planting table that can accommodate an entire class’ planting projects, and observation areas for drawing and collaborating. 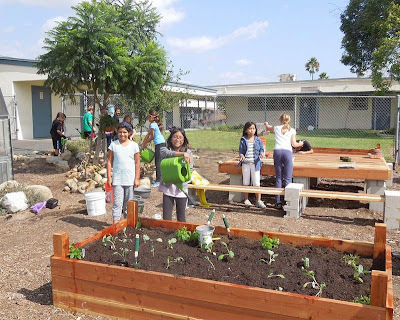 The new Garden Club for fourth and fifth graders is popular at lunchtime offering challenging activities and an opportunity to relax and share ideas. Upcoming projects include an “herb wheel,” succulent showcase, potato plot, strawberry patch, butterfly lure and zen garden. Many of the students live in the adjacent military housing complex. Children are introduced to healthy and fascinating plants and herbs such as kale, Brussels sprouts, amaranth and borage. They learn about composting, beneficial insects and companion plants. 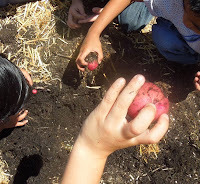 “Some children are discovering, for the first time, how foods grow and this naturally entices them to try something new!” says Sue Sigler, Las Posas’ principal. To help out the school garden with a tax deductible donation, contact the Las Posas Elementary School office at (805) 482-4606.